We should all have the good sense of this dog and curl up in Jesus' lap from time to time. This is too sweet not to share. 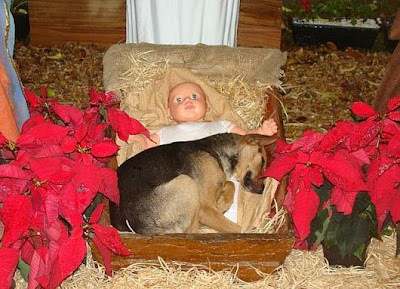 No one mentioned that the dog breed is a "shepherd!"